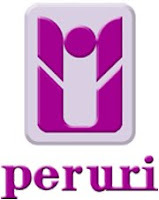 PERUM PERURI - Perum Percetakan Uang RI, As a State-Owned Enterprises (BUMN), the only one that is trusted by the State to print money rupiah (both paper money and coins) to the Republic of Indonesia, according to Government Regulation No. 32 of 2006. Besides printing the Indonesian rupiah, also scored other security products, including printed paper money and non-precious metal non-cash. Presentation of information quickly, precisely and accurately is a necessity in this era of information disclosure. Recognizing this, the Public Company Mint Republic of Indonesia (PERUM PERURI) through communication media and Internet-based information, trying to present information that is not only fast, precise and accurate, but also up to date in accordance with the company's development. Department of Education in accordance with the table above. Maximum age 28 years (the oldest born December 15 limit 1984). Minimum GPA of 2.8 (on a scale of 4). Preferably with work experience in the field. 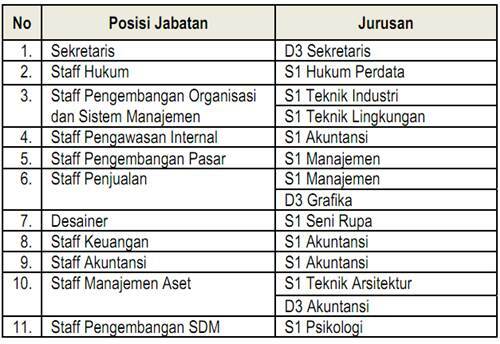 Willing to be placed / work in Karawang, West Java. Each applicant can only apply for 1 position position.